Philippe Nover is by far the favorite lightweight cast member. With 223 votes cast, 113 people (51%)selected Nover as their favorite. The second most went to Junie with 52 votes (22%) and then John Polakowski with 32 votes (14%). This would have been my prediction for a top 3. And it shows that my sentiments were in harmony with the majority as Nover is my favorite. The “next Anderson Silva” seems like a nice dude and a great fighter. Ryan Bader is the favorite light heavyweight, but the margin is not as large. Bader received 90 of 218 votes (41%). He was followed by Krzysztof with 64 votes (29%) and Vinny with 26 votes (12%). The other semi finalist, Eliot Marshall received 18 votes (8%). Again, this was pretty predictble and again went along with my sentiments. Nogueira was by far the fan favorite coach. Out of 198 votes 175 (88%) of people said that they favored Nogueira over Mir. This is huge. The gap is incredible and fans had to appreciate Nogueira’s hard work, committed coaching, how he cared for his fighters and was involved with the team and his class act attitude. Mir’s cockiness obviously did not cause him to be endeared. Also out 203 votes cast 166 (82%) think Nover will be the lightweight winner and 12% of people picked Junie to win it all. The pick for light heavyweight winner was not as obvious 90 (45%) of 201 picked Bader to win, 56 (28%) picked Krzysztof and 42 (21%) picked Vinny. The overal perception of season 8 was positive. Out of 215 votes 151 people responded favorably to this season. Surprisingly 27 people felt Junie was to blame for their negative thoughts on the season. So while some liked Junie, he is polarizing a la Josh Koscheck. 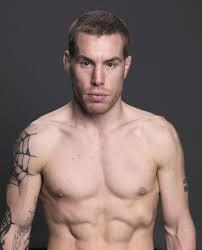 Below are posted links to The Ultimate Fighter 8 Blogs. I was just compiling a list and thought it may be interesting for some who liked to get some inside info from tome of the fighters in the house. Note: You may have to click out to the site’s main page to find the most recent blog entry, If anyone knows of any others, hook me up so I can have a comprehensive list.